Happy holidays and seasons greetings snarky pals!!! 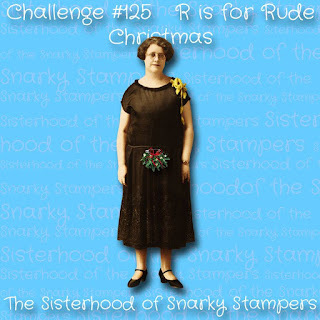 It's time for one of my all time favourite annual SoSS challenges...R is for Rude Christmas! Can you see that Edna is getting into the (naughty) festive spirit??? This is going to be our final challenge for 2018. We will be back on January 12, 2019 with a new challenge. Wishing you a very rude Christmas!! While you are there please share some holiday love with our reigning queen and the rest of the sisterhood! So fun and festive and snarky, all wrapped up in twine! LOL! Love it! 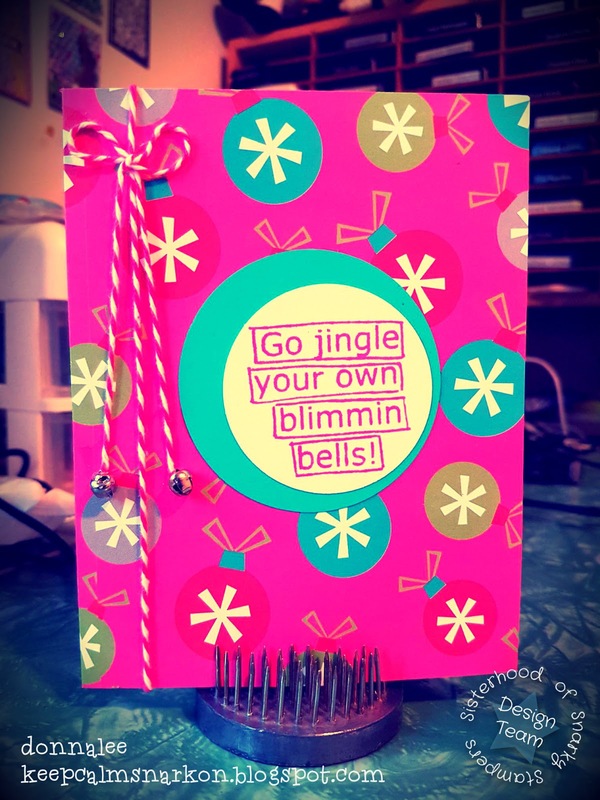 What a fun card, love the way you did the cord, and awesome sentiment. perfectly rude. I know this card, and I love it!